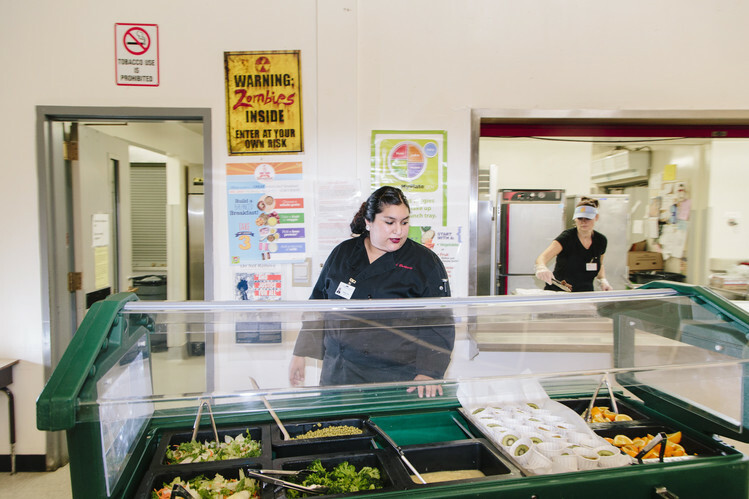 School cafeterias, like the one at Castaic Middle School in southern California, are turning to culinary school graduates to create menus that not only abide by new health requirements but also appeal to students. The Santa Clarita Valley school systems in California lost $250,000 in cafeteria sales last year when students rejected healthier fare designed to meet new federal nutrition standards. Now the districts are trying to win back diners by hiring a chef trained at Le Cordon Bleu, the prestigious culinary school. To make the lower-fat, reduced-sodium fare more appealing, new hire Brittany Young is employing restaurant-style techniques. She moved popcorn chicken out of a steamy wax bag and into an open boat serving platter. She told kitchen staff to wipe down serving bowls so chow mein noodles don’t hang over the side. “Think about how [you’d] like to see the food,” Ms. Young told them. Ms. Young plans to add a new item to the school menu in January, a chicken quesadilla that scored high marks with student taste testers. School cafeterias, long run by no-frills lunch ladies, are turning to fancier chefs and culinary-school graduates to improve their food. 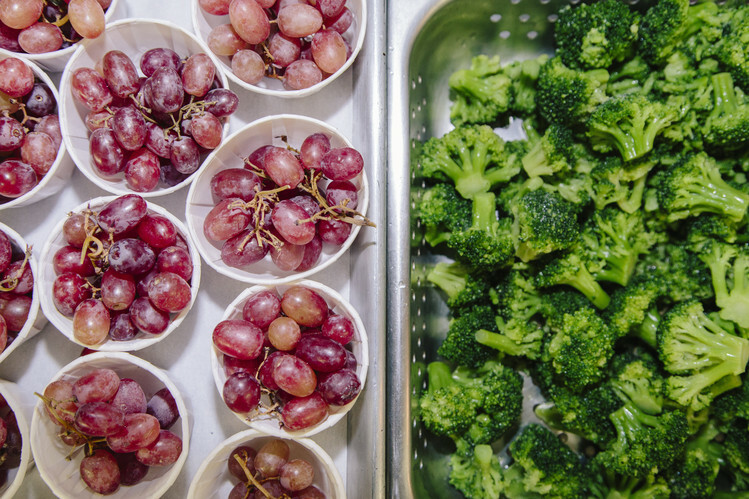 While some districts have employed professionally trained cooks for years, the introduction of tougher nutrition rules in 2012 is making them more of a necessity as students shun wholesome dishes and cafeteria revenues fall, schools say. The new standards, pushed by first lady Michelle Obama, require schools to provide a greater amount of fruit, vegetables and whole grains at breakfast and lunch. In the two years since the standards took effect, the number of students participating in the lunch programs dropped by an average of 1.4 million a day, the largest decline in more than 30 years, according to U.S. Agriculture Department data. A sweeping federal funding bill passed by Congress and expected to be signed into law by President Barack Obama weakens the nutrition rules. It proposes freezing limits on sodium that were supposed get tougher over time, and allows states in certain circumstances to waive a requirement for the use of whole grains. Under the original rules, the cost of complying with the guidelines was expected to triple this year, to $1.2 billion, according to USDA estimates. Some stricter standards for this year are still in place, such as a requirement that schools offer twice as much fruit at breakfast. 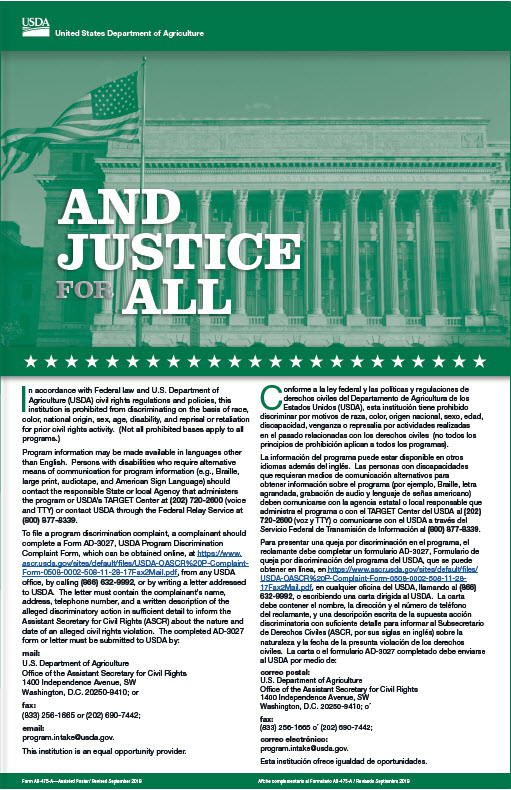 The USDA has already given schools flexibility to adapt to the law’s standards. It relaxed requirements to serve whole grain pasta when some schools said they couldn’t find adequate supplies of it. Agency officials say they are willing to ease other requirements. “USDA will continue to address schools’ legitimate concerns on specific issues, but with approximately one-third of American children overweight or obese, rolling back the nutrition standards altogether is not the right thing to do,” a USDA spokeswoman said. School food groups don’t have statistics measuring how cafeteria directors’ résumés have changed over time, but they say it is apparent more schools are seeking out highly trained chefs. A 2012 study conducted on behalf of USDA by Mathematica Policy Research found that one-third of school food directors held either a bachelor’s or master’s degree. Earlier this year, the Obama administration proposed that new hires in charge of feeding at least 10,000 students have bachelor’s degrees in food and nutrition or other related fields, while master’s degrees are preferred. Pueblo City Schools in Colorado recently hired a graduate of Johnson & Wales University culinary school after introducing healthy items that didn’t fly with students, including wheat tortillas that got gummy when covered in sauce. The new hire created recipes for chicken and beef tacos, substituting the wheat tortillas with hard corn shells. Susan Roberson, director of school nutrition services at Richmond Public Schools in Virginia, created a new position for a nutrition specialist to help oversee menu planning and placed an ad seeking candidates with professional culinary training. “My goal—and everyone might start screaming at this—is to go back to making some signature dishes,” Ms. Roberson said. Top culinary programs in recent years have started actively catering to school-food programs. The Culinary Institute of America created internships in school districts in New York City and Boulder. “The interest and engagement around chefs has been steadily on the rise and is now quite pervasive across the country,” said Sam Kass, a White House chef and executive director of Mrs. Obama’s Let’s Move initiative. Mr. Kass plans to leave at the end of the month. 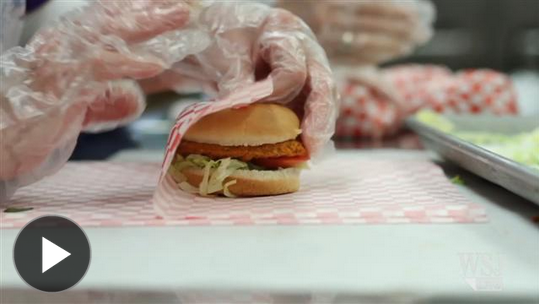 Some school districts say they don’t have the money to hire experienced chefs. Half of the school meal operators surveyed by the School Nutrition Association in November said they expect their costs to exceed revenue this school year. The association wants Congress to provide a one-year waiver to schools losing money on their meal programs. The USDA said in July that more than 90% of the schools were in compliance with the nutrition standards. The agency has awarded more than $35 million in grants to help schools buy kitchen equipment, such as food processors and walk-in freezers. Often asked why she took a job at a school kitchen, Ms. Young of the Santa Clarita Valley School Food Services Agency said she likes the predictable hours and seeing students embrace her recipes. “I feel like I’m doing something good,” she said.